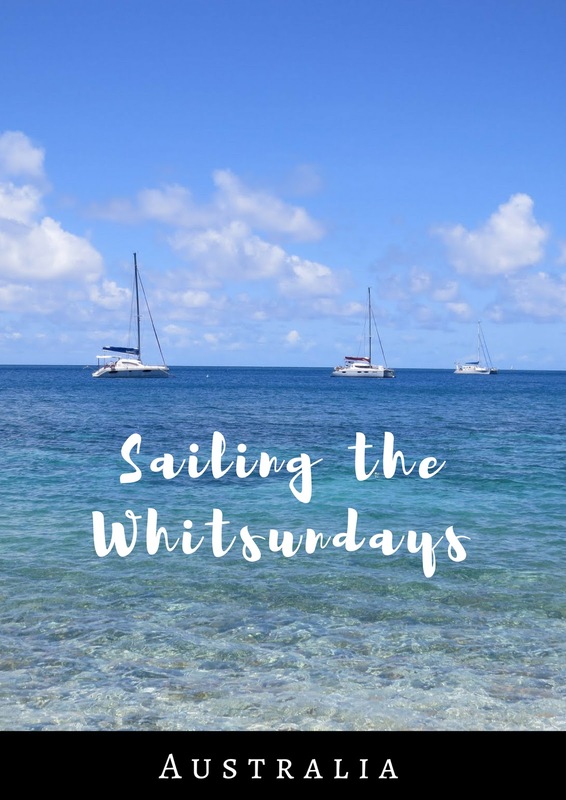 Before I managed to get myself invited to a team offsite sailing in the Whitsunday Islands of Australia, I'd never heard of the place. 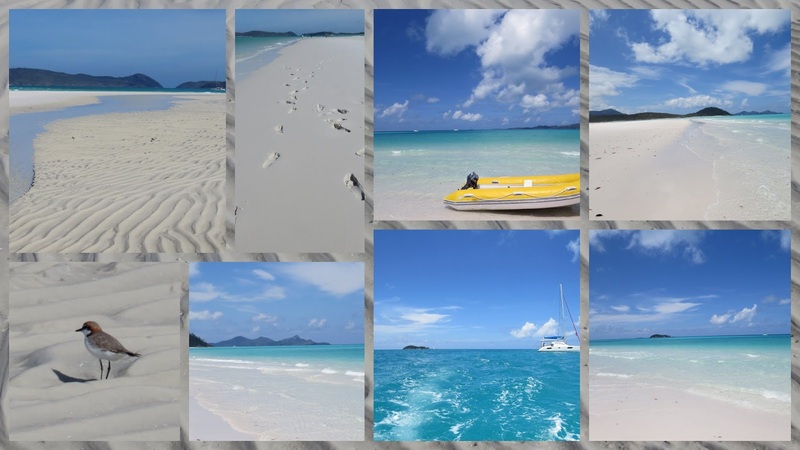 Australians in the know appreciate the Whitsundays for beautiful white sand beaches and snorkeling opportunities along the Great Barrier Reef. 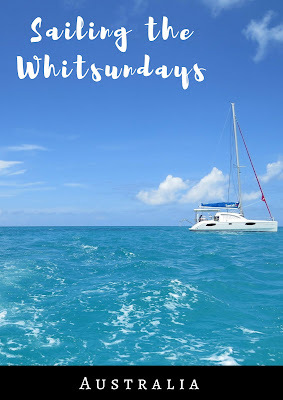 The Whitsundays should definitely be a bucket list destination for folks around the world. 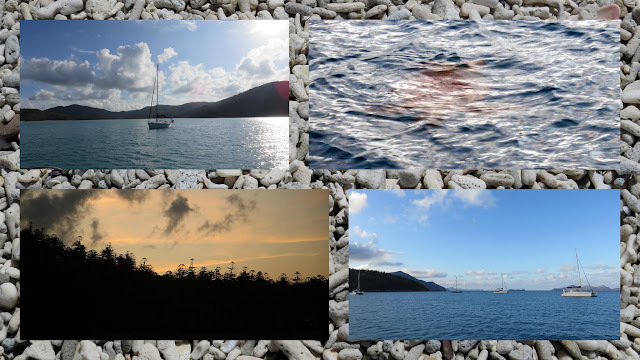 I'd like to share some of my amazing memories from the 3 day sailing trip that I took to the Whitsundays. I'm still pinching myself thinking "was this real? It seems too good to be true!" 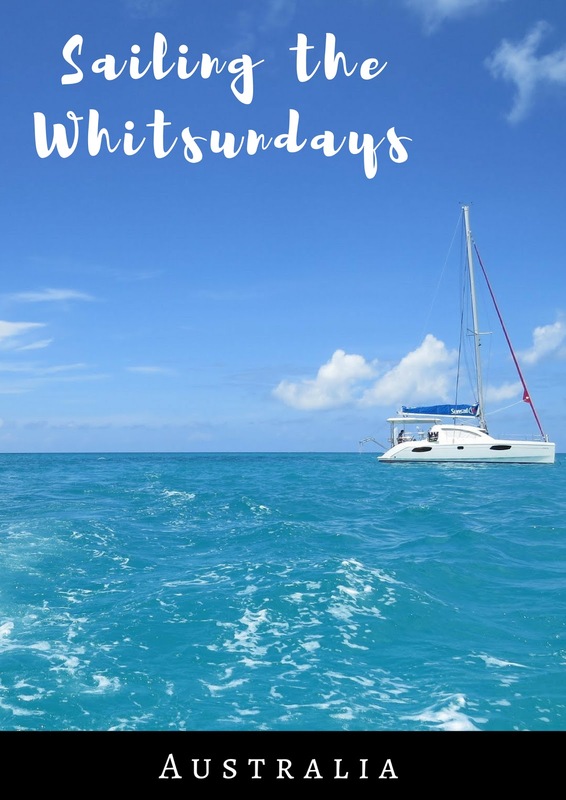 Read on for more on what to do in the Whitsundays of Queensland Australia. 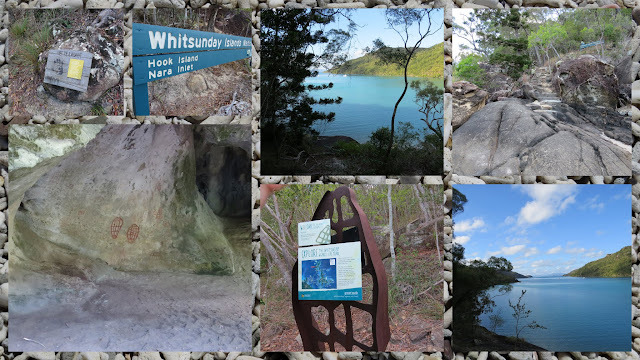 The Whitsundays are an island chain and national park. Hamilton Island Airport is the gateway to paradise. 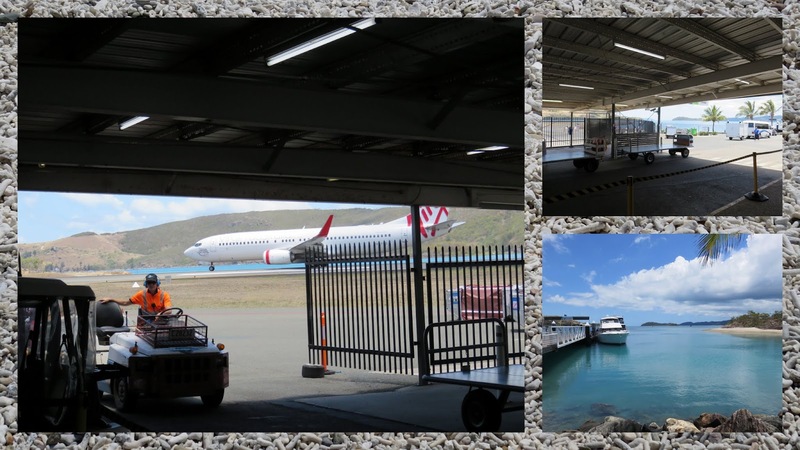 We landed on Hammo (as the Aussies affectionately call it) after our two hour flight from Sydney and were ushered into the baggage claim area. 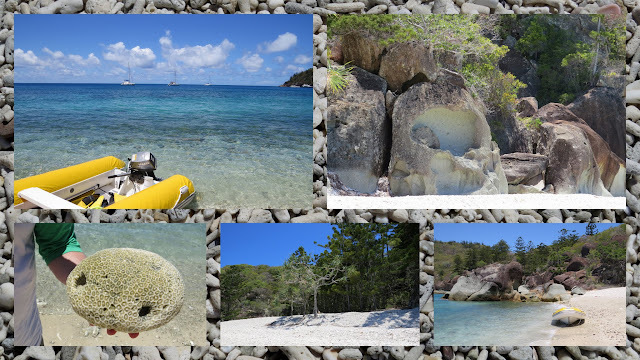 I could see crystal clear water just steps away! Did you Pack your Stinger Suit? I decided to watch 'The 72 Most Dangerous Animals in Australia', a TV series with a couple episodes made available on Virgin Australia flights (a questionable choice given where I was headed!). Allegedly everything is trying to kill you in Australia and this program definitely seemed to propagate the idea that this is the case. There is no more dangerous or deadly place than the ocean waters off the coast of Australia. Queensland in particular (where the Whitsundays are located) are filled with stingers, especially in the summer. Don't forget that the seasons are reversed in the Southern Hemisphere and thus we were there in prime stinger season in November. Stingers include species like the deadly box jellyfish and tiny Irukandji that pack a tiny venomous punch. It's important to bring a stinger suit if you plan to go into the water in Queensland. Stinger suits are a type of thin wetsuit that shields swimmers, snorkelers and divers from the dangerous creatures of the deep. I found that there is an added side benefit of a stinger suit. The one I bought came with decent SPF protection to help keep my pale and pasty skin from frying in the intense southern hemisphere sun. Admittedly, I don't have great sea legs and haven't been on a sailboat in almost 20 years so it was with some trepidation that I got onboard. 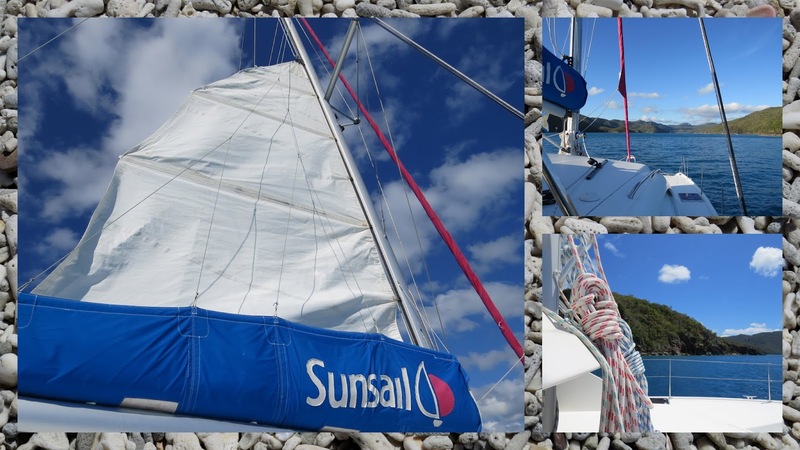 My fears quickly dissipated when I saw the sail unfurl against a bright blue sky dappled with clouds. I definitely recommend bringing seasickness medicine to make the ride more comfortable though. We were on a catamaran which was more stable than a single hulled sailboat would be but we were still rocking and rolling a bit as this animated gif can attest. Still, I regret nothing! 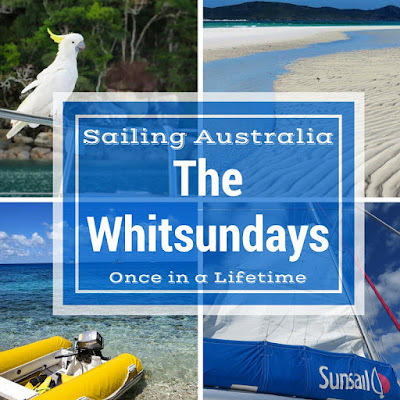 Sailing in the Whitsundays is a once in a lifetime opportunity! 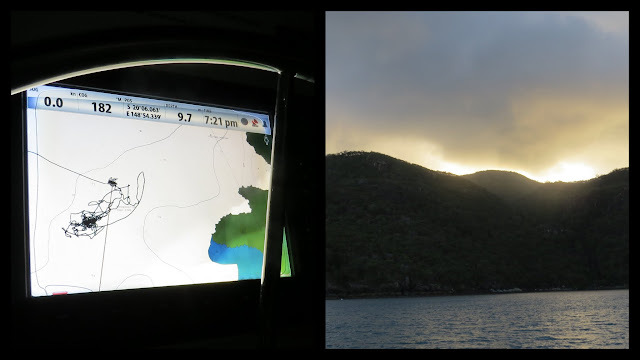 After sailing on open waters for a few hours, I was delighted when we pulled into Nara Inlet to drop anchor for the evening. We were renting boats and for insurance reasons, we were required to be at anchor and checked in with the rental company well before sunset. Nara Inlet was extremely well protected and serene. We even made a few new friends in the form of curious cockatoos as we were preparing dinner on the barbecue (yes, the sailboat comes with a barby!). After an exciting day of sailing, I slept like a baby below decks. There was so little light pollution that it was incredibly dark and I saw more stars than I imagined possible. It was all incredibly quiet as well until the sun just started to peek over the horizon (about 5 am) at which point the birds started singing making it impossible to sleep. I stared out of my porthole as the sun rose just listening to the sounds of nature and gratefully taking it all in. The experience was super zen. Before departing Nara Inlet, we hopped in our dinghy to explore Hook Island. We climbed up from the shore and enjoyed sweeping views of the inlet before admiring a cave featuring indigenous art. 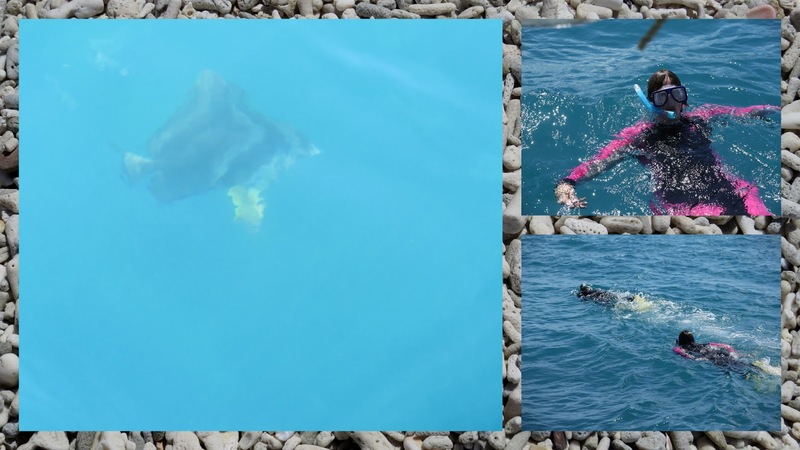 We did attract the attention of some large biting flies on the way back down but managed to shoo them away with a snorkel flipper. From here, we cruised a bit further to a spot directly over the coral of the Great Barrier Reef. 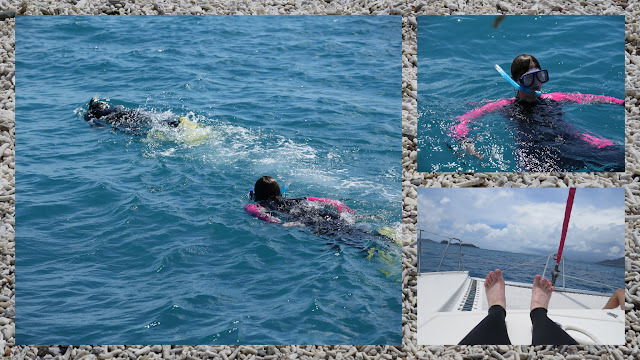 I'm not a strong swimmer but donned fins and snorkel and hopped into the water (wearing my stinger suit, of course!). Even just hanging onto the boat and sticking my face into the water, I got most excellent views of the reef (I'm kicking myself for not bringing a water proof camera to take some pictures!). There were a bunch of big striped fish the size of dinner plates that seemed really curious about me. They would come in one by one for a closer look flashing their teeth at me as if smiling. I also saw schools of smaller fish darting into and out of the reef at high speed. This was another moment that made this trip 'once in a lifetime' in my book. We dropped anchor for the evening at Stonehaven Anchorage. There are typically mooring points that you can latch onto to be safe and secure for the night. 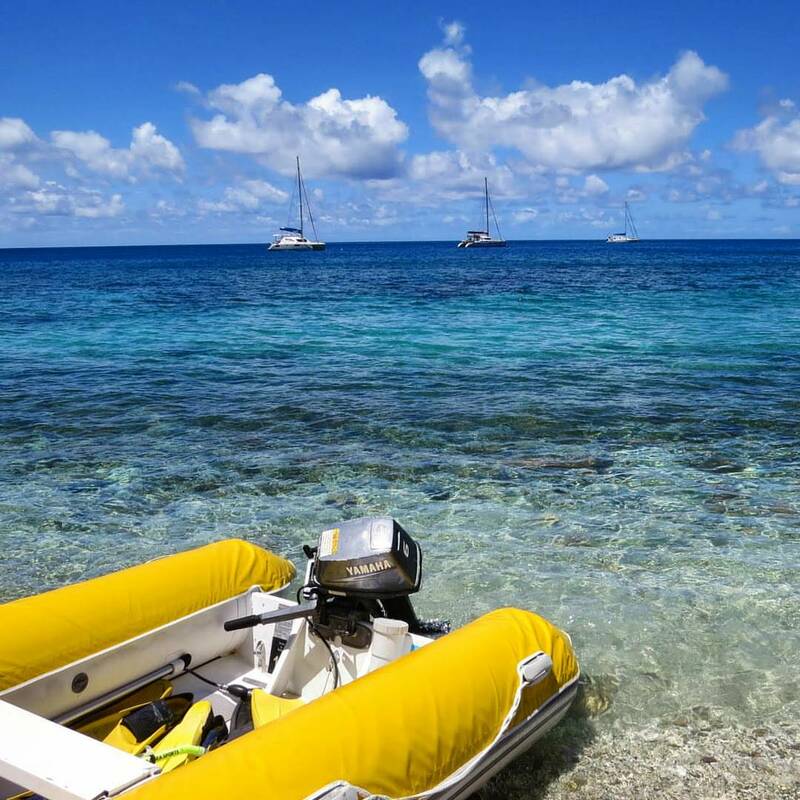 We arrived a bit late since we were so enthralled by snorkeling the reef and all the mooring points were taken so we had to drop anchor instead. The wind had kicked up a bit and it was soon very clear that our anchor was drifting. 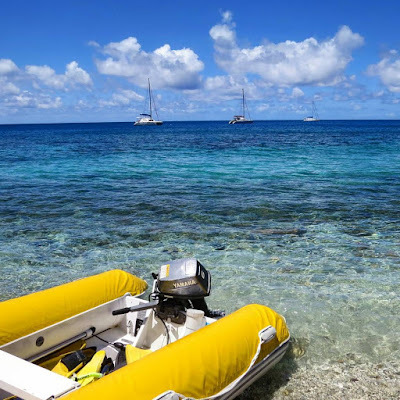 We were traveling as a group of 5 boats with 5-6 people per boat. All the boats could communicate via walkie talkie. We typically would congregate on one of the sailboats for a group dinner. At one point, one of my friends decided to head back to our boat early immediately after dinner only to discover that the anchor alarm had gone off (you can set the anchor alarm to go off if the boat drifts a certain amount indicating that the anchor might not dragging in the current (perhaps 100 - 200 meters). He radioed back about this and the rest of the 'crew' (including our skipper and co-skipper who actually knew how to sail!) of our sailboat immediately jumped into the dinghy to head back to our boat and troubleshoot. We re-set the anchor a couple times but it was definitely an anxious night. The wind was blowing heavily and we were definitely drifting a bit. Our skipper slept on deck to keep an eye on our movement. The wind finally died down slightly overnight. After breakfast, we pulled anchor and were on our way once again. Never underestimate the power of the sea and Mother Nature! 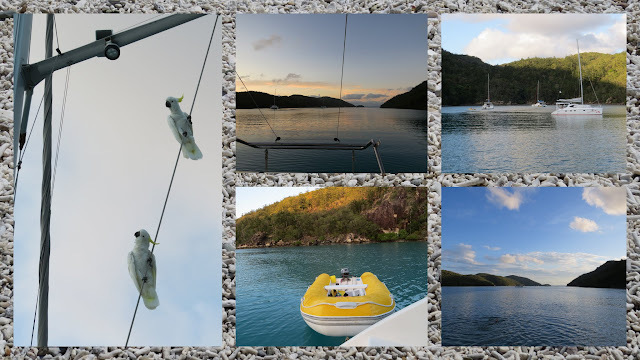 We anchored for the evening in Tongue Bay where we spotted dolphins and turtles swimming nearby. Tongue Bay also had the advantage of being very close to Whitehaven Beach so we would be able to leave early and get back in time for a spectacular sunrise. Speaking of sunrises, Whitehaven Beach is a gorgeous spot to watch one. 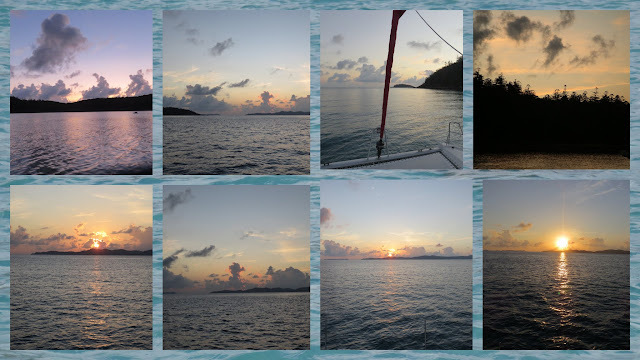 We pulled anchor early and rounded the bend just in time to see the sun peek over the horizon. Once again, I felt incredibly grateful to be at that spot at that moment hanging out with friends old and new. Nothing helps get to know people more quickly than to live together in close quarters on a boat! 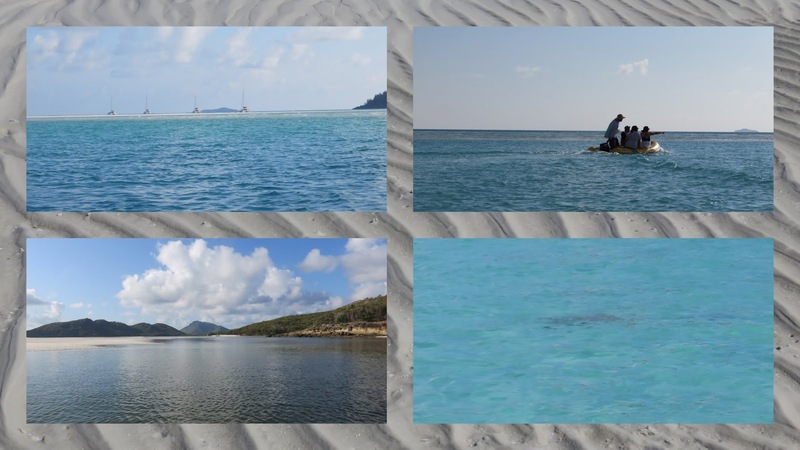 Whitehaven Beach is known as being a good spot to see stingrays. We boarded our dinghy and cruised slowly through the shallow water immediately after breakfast. Apparently, they congregate close to shore at dawn and then head out to sea for the day. We were a bit late to the party and only saw one or two in the distance. Still, we enjoyed the warmth, sunshine, and spectacular views as we rode along. 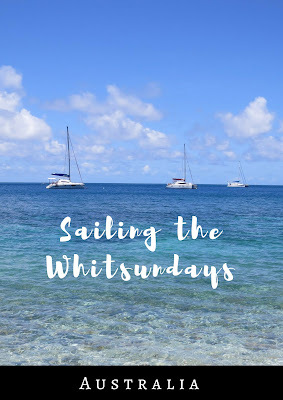 Read about what to do in the Whitsundays on a sailing trip. Visit the Whitsundays in Queensland Australia on the Great Barrier Reef.